Hello! 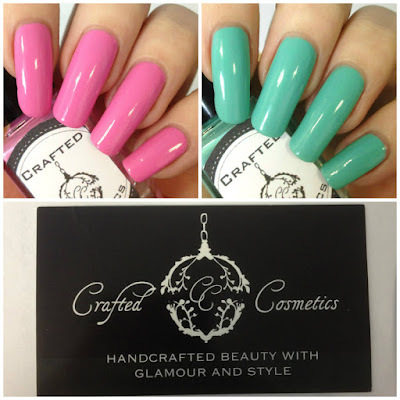 Today I have two brand new polishes from Crafted Cosmetics to share with you! Crafted Cosmetics (or KraftsByKelly) offers a range of handcrafted beauty and skincare products, and is expanding into nail care and polish. 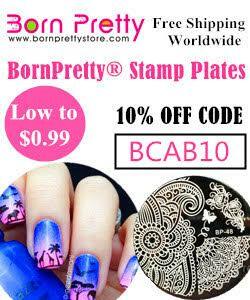 The lovely Carol contacted me and asked if I would swatch two polishes of my choice before hopefully releasing her polish line. Read on for full swatches and more info! 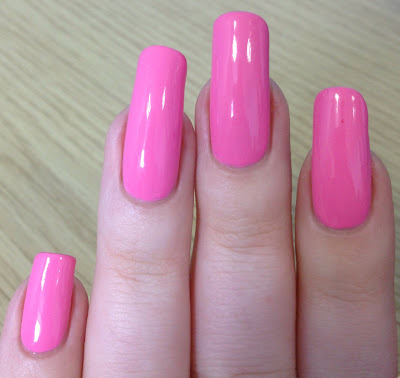 The first colour I chose was a gorgeous soft pink creme, 'Bubblegum Pink'. The formula was super smooth and easy to apply, and I was surprised by how self levelling it was. I found it to be slightly streaky on the first coat but fully opaque after a second. It also dried nice and glossy. Below is two coats and topcoat. 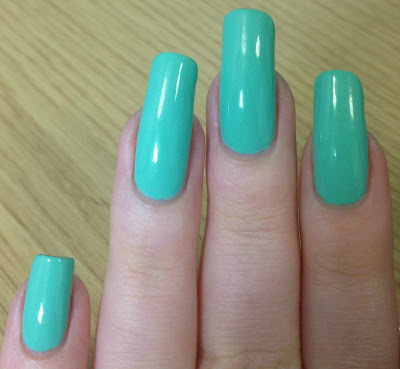 The second polish I chose is this bright mint creme, 'Mint Green'. Again the formula on this was very easy to use and self levelling. It was a bit streakier on the first coat, but with a slightly thicker second coat I got it fully opaque. This has to be one of the brighter mints I have come across. Below is two coats and topcoat. What do you think? I was very pleasantly surprised with the quality of both of these polishes, especially considering they are from a newly launched (or to-be-launched) polish line. I absolutely love both colours, and think they could easily be worn all year round. You can find Crafted Cosmetics on etsy here. Make sure to follow on Instagram here for swatches and information about the release of her polishes! It's definitely a cute duo and the colors are great for spring. These are gorgeous colors. I love them both. Your nails are fantastic too! Ohh I really do like these colours, they are pastel, but with a very dense string colour, sometimes pastels can be very wishy washy, and theses certainly are not!